Thought leadership, news, and commentary from the front lines of the clean energy revolution. As California’s investor-owned utilities close in on achieving the state’s landmark energy storage mandate, the densely populated metropolitan regions surrounding Boston to New York City represent a clear target as an emerging front of the meter (FOTM) utility-scale storage market. The states comprising this region have recently augmented clean energy objectives to a minimum of 35% by 2030, have similar climate and grid operational challenges, and have collectively mandated 5.5GW of storage by 2030. Developers have responded with over 2GW of co-located or standalone storage in the queue. A fleet of storage assets is well-suited to provide local capacity and displace the need for aging, underutilized and polluting combustion turbine plants located in the region. Provided transmission owners are allowed to own it, storage can also defer needed transmission system upgrades in an area where new lines and pipelines are challenged. In spite of this policy momentum and value proposition, there is an emerging conflict between state policy goals and ISO market participation models that threatens to damage or delay each state’s market. Because storage is a unique resource capable of providing a stack of values to both retail and wholesale markets, harmonizing dual market participation is critical - but right now policymakers are out of tune. Improved coordination between ISO/RTO and utility regulators is needed in particular on the issues of planning and procurement, capacity market integration, wholesale market participation, and to ensure that assets are eligible to receive rate recovery (i.e., treated as a traditional distribution and/or transmission assets). The timing for action is ripe: FERC Order No. 841 takes effect December 2019, and state mandates like New Jersey’s begin to take effect as early as 2021. New York is the fifth-largest electric market in the U.S., and currently the most attractive for near-term FOTM storage development on the eastern seaboard based on demonstrated need and state policy momentum. Governor Cuomo recently announced the state’s goal to achieve 100% carbon-free electricity by 2040, five years ahead of California. In a December 2018 Order, the NY Public Service Commission increased its energy storage target to 3GW x 2030, and has been working to retire and replace local capacity from power plants that emit NOx, SOx and other local pollutants since a 2015 Executive Order. Notably, NY is the only state in the region served by its own ISO, so it has more autonomy to align ISO/RTO policies with regulatory-led initiatives. These goals are intended to revitalize the state’s aging and poorly utilitized electric system. Approximately 866MW of steam-turbine generating capacity in the state is 60 years of age or older, and another 2,300MW of gas turbine capacity is 45 years or older. Nationally, 95% of such capacity in both catories is deactivated by this age. System utilization (peak MW / average MW) averages 50-60%, resulting in costly idle capacity. Utilities have an incentive to improve this system load factor through earnings adjustment mechanisms, but regulatory-led initiatives like the Reforming the Energy Vision have been slow to move the market. In addition, New York has over 3,000MW of gas plants in NYC and Long Island (Zones K and J) alone that operate at or less than 5 hours at a time, and often switch to burning oil during freezing winter periods due to constraints in the regional natural gas pipeline supply. Utilities are developing a ‘peaking unit contingency plan’ to address the potential retirement and replacement of many of the plants that fall within the NOx emissions ban, and to replace them with flexible capacity resources that reduce greenhouse gases and increase renewable generation. In response to these issues, the PSC in its December order authorized a 2019 utility procurement of 350MW of storage through direct contracts. Most of the procurement (300MW) will fall to ConEd. While this is a positive step, NYISO treatment of storage remains problematic. While co-located storage projects did clear the recent NYSERDA large-scale renewable program, developers generally avoid adding storage because this changes the project's generation type to "Dispatchable" and voids the project's eligibility for intermittent Generator exemptions. Further, NYISO does not allow storage to provide both regulation and reserves, limiting the use of many assets. NYISO also requires ISO control over state of charge in the Day-Ahead Markets, which makes forecasting energy sales challenging in project finance models. Finally, NYISO treats storage as a wholesale asset only, which may complicate utility-procured resources that seek to provide local retail and wholesale value. The NYISO 841 filing signals that contracting and market participation is still an area of conflict, and could take up to three years to resolve. This issue has already presented challenges for Non-Wires Alternatives (NWA) to traditional wires investments. NWA projects are compensated through direct utility contracts that reserve the right to “call” the resource for load relief to defer traditional investments in wires. Procurements to date have sought smaller projects as part of a relatively small portfolio (1-10MW) of distributed energy resources that offer load relief for short tenors (~3 yrs). Proposals to enhance NWA programs may offer storage owners the opportunity to provide distribution relief for the shorter-term need, and provide wholesale market services via longer terms that align with investor timelines. 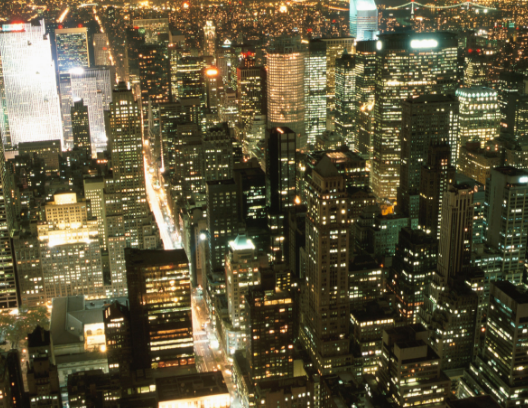 Without improved coordination to integrate standalone storage within the NYISO and retail markets, much of the mandate in NY is likely to come from co-located systems from the NYSERDA LSR program (which presents its own challenges), or potentially more costly behind-the-meter systems t­­­hat are easier to site on commercial property. In comparison, the 1.825GW storage mandate in California is limited to standalone systems, at least at the bulk system level. While co-located systems and BTM systems are important, they leave value on the table that standalone storage can provide as a local capacity resource. In 2018 New Jersey set a storage goal of 2,000MW by 2030, part of broader energy legislation that establishes a renewable target of 50% by 2030. New Jersey sits within PJM, the largest ISO/RTO, which was initially supportive of storage as a frequency regulation resource, but is failing to extend that support to storage as a capacity resource. FERC Order no. 755 (2011) created a market for storage as a frequency regulation resource, but the ancillary service market in the RTO is now oversupplied. Because of this and uncertainty around how renewable resource environmental attributes will be treated in PJM, developers now look to capacity markets as an increasing source of the total contracted revenue needed to finance projects. Storage provides fast ramping capacity, shaving the peak at the system, zone, or local level. The PJM DAM and real time markets present a clear arbitrage opportunity to storage owners to charge from the grid when market scarcity pricing is low and then quickly respond to operator signals to discharge during higher LMP hours, sometimes several times in one day. If NJ relies on PJM markets to meet its aggressive standard, it may fall short of its mandate. H4857 (2018) established a 1,000MWh energy storage target by 2025 likely to be met through a new clean peak standard (CPS). Massachusetts is the load center of ISO-New England and perennially challenged with natural gas pipeline constraints that are most pronounced during polar vortex events. The states comprising ISO-NE have aggressive climate targets, but ISO-NE has struggled to build new electric and gas transmission needed to meet those policy goals and to serve congested load pockets. For example, the transmission line linking Canadian hydro resources awarded as part of the 2016 Massachusetts clean energy tender was rejected by a New Hampshire site committee. The region is forced to import gas from Russia rather than from its mid-Atlantic neighbors due to regional pipeline limitations. Similar to Southern California, which continues to face n-1 generator reliability conditions for local capacity due to gas supply constraints, ISO-NE must offer tenders for local capacity that include optimized bulk storage. This requires enhanced policy coordination to allow bulk storage to act as a transmission resource eligible for rate recovery and as a wholesale market participant. FERC’s 2017 policy statement affirmed storage resources that receive cost-based rate recovery can also participate in and receive compensation as a wholesale market participant. Unfortunately, ISO-NE’s proposal in response to order 841 requires storage owners to register as generation resources, which must be de-rated automatically in order to ensure state of charge to meet ISO obligations. This limits the resource’s ability to act as as a resource eligible for cost of service treatment to defer transmission capex, and disallows utility ownership. The limited definition exposes a gap in jursidiction between FERC and state regulators seeking to leverage storage to manage peak demand and integrate increasing amounts of renewable energy. Electricity is a highly regulated market. When none of the regulatory agencies or ISO/RTOs in a given market have a consistent definition of one of the most dynamic technologies within that market, neither utilities nor grid operators know how to treat it, and investors grow cautious in spite of the clear value proposition. Aligning bifurcated policy processes is never easy, but the challenges identified here make it clear more work is needed to ‘open the floodgates’ of the storage market as FERC intended.